Eighteen years ago this month, my teacher died. She was nearly 92 years old. 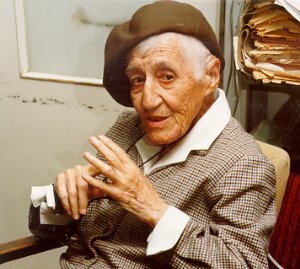 Her name was Nechama Leibowitz, and she was an extraordinary pedagogue who taught teachers and taxi drivers, secular Jews and religious Jews, members of Knesset and street cleaners, and me. She had earned a doctorate and was a university professor but preferred to be known simply as Nechama. Her career as an educator spanned 70 consecutive years, but she never complained of teacher burnout. She was a role model for men and women alike in a predominantly male world of Torah scholarship but didn’t see herself in the vanguard of feminism. She loved what she taught and sparked that love of learning and of Torah in thousands, likely tens of thousands, of students. My wife Rachel and I were privileged to study with her in 1986 at the Hebrew University in Jerusalem. The class met in a large lecture hall. There was not an empty seat in the room. Like all her classes, this one was taught in Hebrew. Nechama was disciplined in her approach to the text and to teaching. She would begin class with her signature question: “Ma kasheh l’Rashi?” She wanted to know what surface irregularity in the biblical text provoked Rashi’s comment. We would begin to sweat as we painstakingly attempted to answer her question. Nechama made it clear that she did not want us simply to paraphrase Rashi’s words. She would remind us that Rashi said it well the first time, and it would be chutzpa to think we could do better. Furthermore, a kushiya always involved a counter-text or an alternative hypothesis. If our answer was, “Why did the text say X,?” she would answer, “Why not?” She trained us to think precisely. Nechama demanded everything in writing. Otherwise, she feared we might hide behind the raised hand of an eager student who would offer a correct answer. She wanted every student, all 100 of us, to think through the problem and commit in writing. She also wanted a terse answer, sometimes just one word. If an answer went on for a sentence or more, it was likely incorrect. We would struggle and tremble nervously as this octogenarian shuffled up and down every row of students and approached our desks. No student’s answer escaped her scrutiny. She would express horror at our sloppy thinking and offer enthusiastic approval whenever we were on target. At the end of the year, Rachel and I asked her for a set of gilyonot, these single-spaced typed worksheets on grainy legal-size paper with killer questions on parashat hashavua. She distributed them to anyone who asked and responded by hand to anyone who sent her an answer. For 50 years she marked papers of a vast, unseen, eager audience that spanned the globe. I think we sent her postage money. She took no pay. She was a human world-wide website ahead of her time with a virtual classroom of thousands. When she reached 40,000 responses, she stopped counting. I still have two of her hand-corrected responses that she sent on blue tissue-paper aerogrammes. A few years before she passed away, I happened to be in Israel and a friend of mine invited me to a class in Nechama’s apartment by the Central Bus Station in Jerusalem. It was by invitation only. I felt honored to be included. Someone once said that “to have studied with Nechama was to have been in analysis with Freud, to have been educated in nursery school by Maria Montessori, to have been inoculated against polio by Jonas Salk.” This is how I felt. I was studying with a master teacher. She welcomed me into her apartment. The walls were lined with file folders of gilyonot. Her desk was layered with worn books of biblical commentaries. Twenty people pressed between her desk and the bookshelves. It was an eclectic bunch of studious housewives, conscientious teachers, industrious retirees, and eager yeshiva principals. At the time, I was a Conservative rabbi. I was introduced as such. One of the yeshiva principals burst out in rage objecting that a Conservative rabbi was allowed to join the group. With total calm, Nechama responded to every argument and defended my presence in the class. “Conservative rabbis do nothing other than violate halacha,” he said. “All Conservative rabbis?,” Nechama asked. “Even the respected Conservative Talmudist Rabbi Saul Lieberman?,” she asked rhetorically? “They reject halacha,” he tried again. “Look at you,” she said, “you’re studying with a woman. Some would say that you reject halacha too.” “They, they are trying to destroy our State,” he added. “They? Who is they?,” she asked. “Let’s not talk of us and them. Let’s not talk in generalities. I see only individuals,” she remarked. 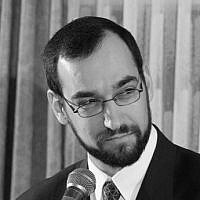 “Conservative rabbis are responsible for destroying our State? Was it a Conservative rabbi who killed Rabin?,” she asked rhetorically. “They, they are heretics,” he continued. “They don’t accept Maimonides’s 13 Principles of Faith,” he countered. “Many Orthodox Jews burned Maimonides’s books,” Nechama noted. To each objection, Nechama had a response. She never raised her voice once. She didn’t assert her authority as a teacher. She was lucid and convincing. Finally, her disputant sat down quietly in his seat ready to allow class to begin. That evening in her tiny one-room school house, I was treated to one of the finest lessons. This time it wasn’t the words of Rashi or Ramban or Buber or Rosenzweig. This time Nechama Leibowitz was the text. It was her words and temperament that we were privileged to study. She reminded us that Torah is the inheritance of the entire Jewish community, not just a select few. Nechama died on 5 Nisan 5757 corresponding to April 12, 1997. In her will, she asked that she be buried in an inconspicuous area in one of the Jerusalem cemeteries. According to her wishes, no death notice was to be published. No eulogies were to be given in her honor. She requested that no inscriptions be placed on her tombstone except the word “Morah.” She was the consummate morah: a quiet but fierce, inspiring teacher who brought honor to the teaching profession and to Torah. Eighteen years after her passing, I still feel her impact on my life as I strive to be a better student and teacher of Torah. Rabbi Lee Buckman lives and works in Jerusalem. 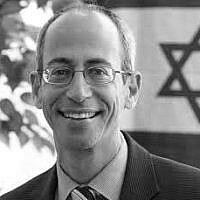 He is the Executive Director of JEDvision, jedvision.com, which provides educational services, consulting, and executive coaching to Jewish organizations and institutions globally. 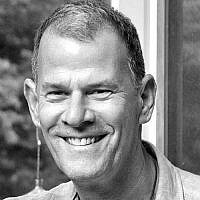 Prior to making aliyah, he served as Head of School at three institutions: TanenbaumCHAT, a Jewish day high school in Toronto that serves nearly 900 students in grades 9-12; the Greenfield Hebrew Academy, an infant to 8th grade Orthodox community day school in Atlanta, Georgia; and the Frankel Jewish Academy, a pluralistic Jewish day high school that he helped establish in West Bloomfield, MI.